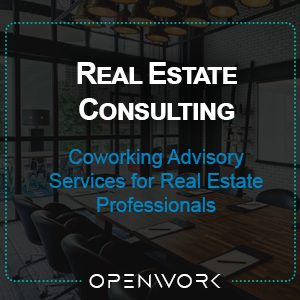 Over the past five years we at the OpenWork Agency have helped real estate developers and entrepreneurs around the world with their various “coworking” projects. I use quotes here because for anyone familiar with the original coworking 1.0 movement, these projects are typically much less ‘coworking’ and much more ‘office.’ That is, the very notion of coworking came online in 2005-2006 as a new modality of work where people (from different disciplines, companies, and industries) sat co-present at large tables while they did their work. This was the ‘co.’ In these spaces community was not just a word, it was a thing. This is perfectly understandable because…coworking really was that great. 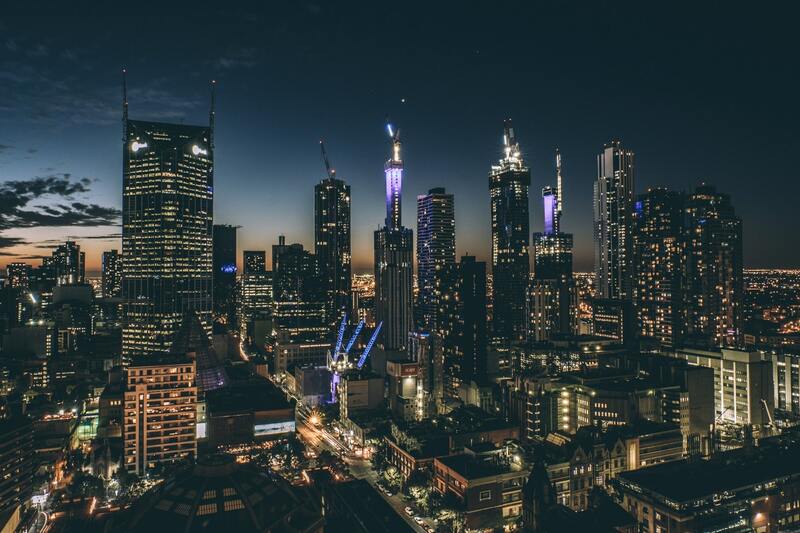 Places such as Indy Hall (Philadelphia), Office Nomads (Seattle), Creative Density (Denver), and Beta Haus (Berlin), among others, offer qualitatively different experiences than the ones that we create for our clients. I’ll spare readers the violin concerto, but it is decent jumping off point for a deeper discussion. While romanced by the ‘groovy’ elements of coworking, our clients are real estate professionals seeking new ways to maximize RSF (revenue per square foot). Some of our clients have already made their money, and ‘coworking’ is a passion project that does not necessitate aggressive returns, but even then RSF is not very far away. There is, of course, nothing wrong with this, and we are grateful for the work. However, pretty much across the board, we see relative demand for open coworking (‘hot desking’) decrease as an overall percentage of the industry’s growth. The growth is in the demand for private offices. This has been clear for years. We are in coworking spaces all the time, and the site is familiar: the ‘coworking area’ has two or three lone people at their laptops, while the private offices (upstairs or in the back) are fully subscribed. 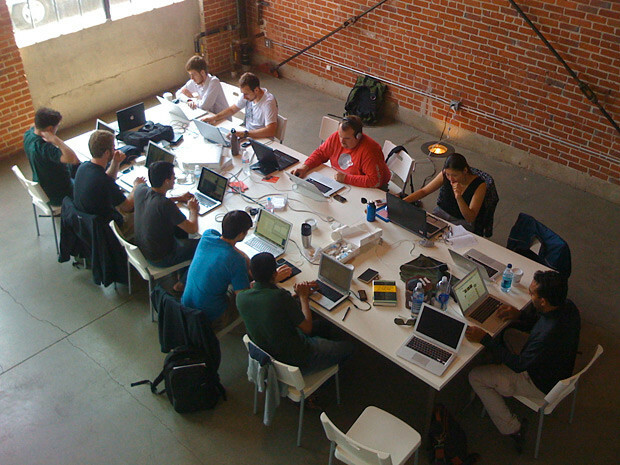 Coworking has become a loss-leader, and obligatory part of the model to rationalized the use of the term coworking. 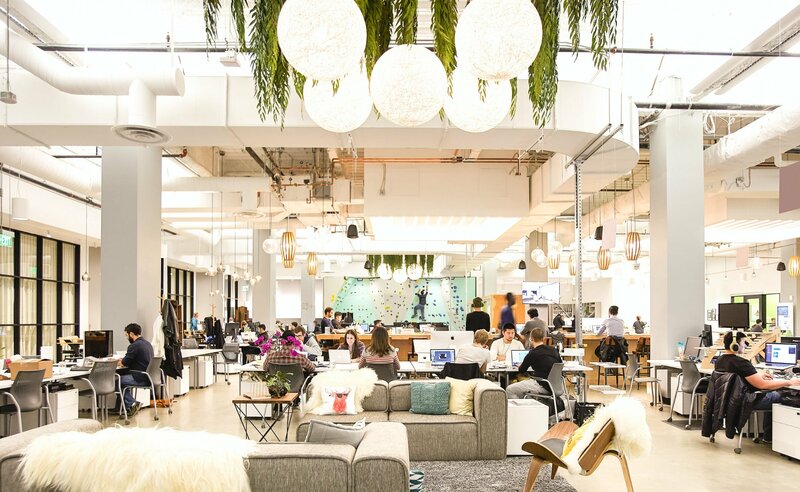 Meanwhile, industry-behemoth WeWork has leveraged the poetics of coworking 1.0 to institutionalize the proliferation of tiny glass offices where peoples’ (particularly American) need for privacy can be satisfied. In our ‘ownership culture’ this is really no surprise. Yet, as the average per-person workstation footprint shrinks from around 300/250 sq ft (in the traditional office of yesteryear) to around 40-50 sq ft (in many WeWorks) today, one has to wonder about the quality of those work experiences. It would seem that few people, in the larger scheme of things, are wondering. More and more large firms sign up for tiny glass box offices with call center-like layouts for their teams. While it might be a bit claustrophobic and oppressive (having traded out the failed open-plan office for a glass sardine box), at least there is cold-brew coffee and craft beer on tap. Community has thus been reduced to a few fleeting moments of co-presence in the ‘communal kitchen,’ where people share space while they pour a beer or a cup of coffee. It is hypocritical to point fingers. We help create these environments too. I confess. Yet, on some days and at some times, I do wonder about the fate of ‘proper coworking.’ I will not devolve into an etymological discourse about the meaning of words, I am just thinking out loud. 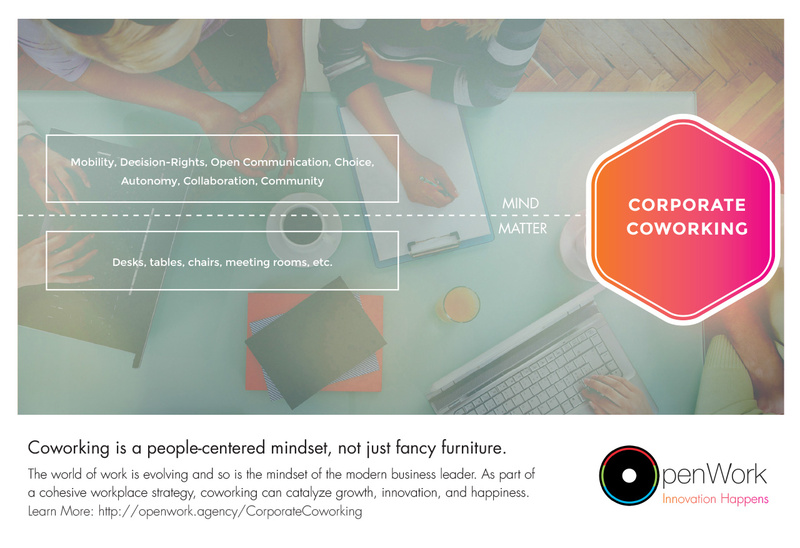 As part of the original coworking movement, originally as Conjunctured and now as OpenWork, we think about these things. I would hope that one day we just might try to figure out how to get back to coworking. This article was originally posted on LinkedIn by OpenWork Agency Partner, Drew Jones, PhD.